We were overjoyed when we got our EHC plan despite having to negotiate further to get the right type of provisioning for our Son. The stress and worry of trying to get it has definitely taken it's toll on us, but knowing that an average of 50% (source: bbc) of parental applications are turned down, typically for lack of evidence or the wrong type of evidence, we didn't feel like we had any room to complain. When we first started applying for an EHC assessment we had little idea about what it was, and had to quickly work it out so that we could meet the first looming deadline. The biggest challenge was writing the parental views - I spent sleepless nights worrying about what to write, and even missed submitting our views before the decision to carry out an assessment was taken. Unsurprisingly, we were turned down. Luckily mediation allowed us to submit our evidence and the decision was reversed. The lack of clarity around what to write in our parental views made the task seem monumental .... how do you convince someone you have never met that your child needs help with just a few written words? We wanted to get it right, but found little guidance or information on how to approach it. With so much at stake, it regularly felt like we were shooting in the dark and wished that we had been able to get some personal insights on the key things we needed to be thinking about. Having been through the process we offer the insights on what worked for us in the end - hopefully they might be of use to someone else who finds themselves in a similar position. For us the first step was to try to understand as much as we could about the EHC assessment process, what was involved and the pitfalls to look out for. Our day with SOS SEN getting to know about the EHC process provided us with exactly what we needed to know to get started, and made us aware of the key resources we needed to familiarise ourselves with. The SEN Code of Practice and the Children and Families Act 2014 are lengthy documents but they contain a huge amount of useful information - including the breakdown of what information needs to be included in each section of an EHC plan. There are also a number of online quick guides, such as the one from the Buck Family Information Service, which provide a quick guide to the EHC plans. Having the code of practice printed out served as a handy reference to remind us of the different areas our LA would be looking to assess. With so much to cover, thinking about the high-level structure can help identify what you want to say, and help's ensure that everything is pulled together in a way that makes it easy for other people to read. Next, we looked at the 4 broad areas of need, described in the SEN Code of Practice, and used these together with our understanding of our Son's situation to identify the key points that we believed were relevant. Where we didn't know the answer or didn't have supporting evidence, we made a note to follow up as necessary. By the end of this we had many different points to follow up on, and a long list of people we needed to reach out to. With everything we had identified that needed to be done, we created a plan for how we were going to achieve it. With all the different steps in the process, and various deadline and decision dates it was easy to forget what needs to be done when. So we worked out and noted the key deadline dates using the guideline time-frames, starting from the date of the letter informing us that they would consider whether to do a needs assessment. For each date, we aimed to get our submissions in at least a week before the deadline, so that we could be sure that the LA would have sufficient time to read through what we submitted and we didn't run the risk of them taking another decision before we submitted our views. 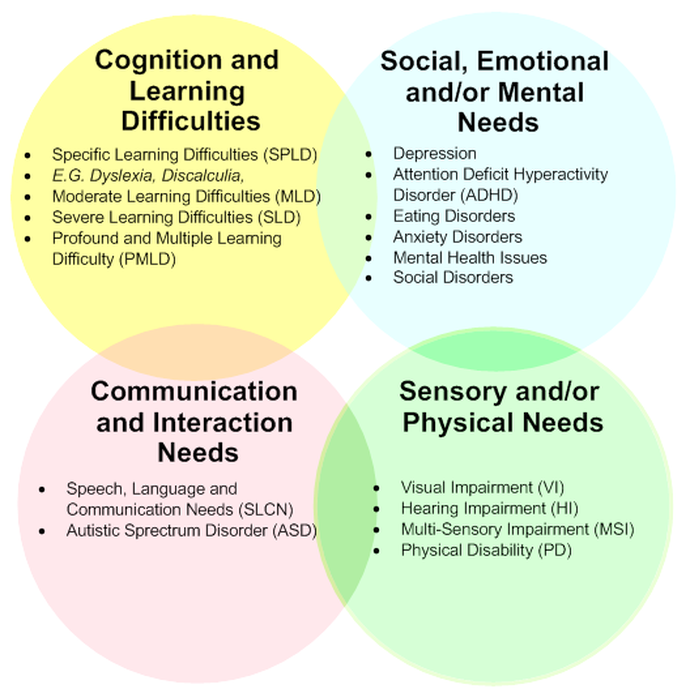 The greatest amount of planning, and co-ordination was required for reaching out to various professionals (Educational Psychologist, Speech and Language Therapist, Occupational Therapist, Paediatrician) to arrange assessments, and receive their written reports. Each time we received a new report, we would identify the key points and reference them as evidence in the body of our parental views, with a copy of report added to the appendix that we would be submitting alongside our views. One of our mistakes was not ensuring that professionals included explicit statements about the level of support they believed was required in their reports. This later made it difficult to request for that the support be included in the EHCP. SOS SEN has a number of useful tips of what to look out for that I wish we had read when pulling together our views. These lists were especially handy when we had to talk someone new through where we were in the process, and what we needed from them as part of the assessment. Building good relationships was key to helping us get through the process, especially when faced with unexpected obstacles. Each time we came up against an issue, it was the relationships we had built that helped us to find a resolution. From the Educational Psychologist who repeatedly came into the school and spoke to us on the phone to help identify the right set of strategies to help our Son when we were faced with exclusion, to the SEND IAS team who were there each step of the way with words of advice, support and words of encouragement when things got tough. Similarly we tried hard not to let our feelings get the better of us when we felt let down - after all you don't want to get on the wrong side of anyone who is part of the decision making process. Drafting our views was hard work and took much longer than expected, even with all the planning and evidence gathering we had done. I don't know if it was the fact that there were so many things which needed to be brought together, or the great pressure I felt about needing to get it right, but I often found myself sitting staring at the screen willing myself to write something ... anything .... but I couldn't find the words. And then I remembered some advise I had once been given - perfect is the opposite of good. I was never going to finish within the required time-frames if I focused on getting it perfect. I just needed to focus on writing what I knew and felt, with the evidence from the professionals to back me up. In the end I tried to put my emotions aside, and stop worrying about what would happen if I got it wrong. So I went back to the high-level structure and started to flesh out the key points that I had previously noted, including references to the professionals reports where relevant. The first few drafts were a jumbled mess of thoughts, ideas and emotion. Eventually after multiple re-writes, which involved the help of friends who were not as close to the situation, the views started to take more shape and eventually I had something that captured the essence of what I wanted to say. The final step was to get a second opinion from someone who had more experience than us. Asking questions in online forums and talking through my questions on the phone with someone at IPSEA helped me get a better idea of what the LA would likely be looking for, and help to focus what I was trying to write. The National Autistic Society and SEND IAS (Bucks SEND IAS)are also able to offer advice and support. If I'd left myself more time, I would probably have tried to get time with someone like SOS SEN who offer advice clinics and one-to-one advice sessions. The unexpected set backs, and the barrage of information coming at you from all sides can be overwhelming. The fear of getting it wrong, and failing your child can be almost crippling. The long road ahead can be tiring. There were many times when I couldn't see the way forward, and the enormity of the task just seemed more than I could cope with. The most important thing that I learnt was to take things day by day and just focus on what I needed to do next, rather than try to think about everything that needed to be done. Finding out we had received the EHC plan was a good day. I felt enormous relief and a small glimmer of hope - something that I hadn't had much of till then. Have you submitted your parental views for an EHCP? Have you got any tips or insights from your experience which others could learn from?